UPDATE: It came, it saw, it delivered. After months of rumour, speculation and more leaks than a large bowl of leek soup, Apple has revealed its latest contenders in the smartphone arena. Much as we expected, Apple revealed two devices: the iPhone 5S, which takes over the top spot from its 2012 predecessor, and the "cheaper" iPhone 5C, which serves as a direct replacement for the soon-to-be retired iPhone 5. We'll be updating this page with all our videos surrounding the launch of Apple's latest phones, so be sure to keep checking back for all your iPhone 5S, iPhone 5C and iOS 7 needs. We get our mitts on Apple's new iPhones. Everything you need to know about the iPhone 5S, including how much it costs and when you'll be able to get it. We take a closer look at the iPhone 5S's brand new fingerprint sensor to find out how it works. Apple has announced that the iPhone 5 will be phased out and replaced by the iPhone 5C, which brings a splash of new colour to Apple's range and comes in at a (marginally) more affordable price tag. 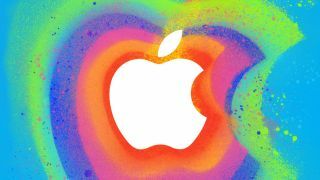 It's expected Apple will release not one but two new smartphones at today's event, with a much rumoured cheaper device sidling up alongside the flagship iPhone 5S. Though we expect the 5S to arrive wearing a premium price tag, it will be interesting to see how Apple tackles the "lower" end of the mobile market with the purported iPhone 5C. We've summed everything we know so far about the iPhone 5S and iPhone 5C in the videos below. Which device will you be gunning for? Let us know in the comments. Apple's latest software update heralds in the biggest changes to iOS since the original iPhone's 2007 debut, introducing a number of tweaks and improvements to the company's unashamedly dated mobile OS. We've already had some hands-on time with iOS 7 thanks to a few cheeky beta versions floating about and, development bugs aside, we're pretty impressed with what we've seen so far. As well as a radically refreshed design and all-new interface, iOS 7 also brings some big changes to the way users interact with their devices. The brand new control panel - which, let's face it, has been a LONG time coming - does away with the need to drop in and out of menus every time you want to tweak your settings, resulting in a much more seamless experience. You won't need an iPhone 5S to enjoy the fruits of Apple's labour either: iOS 7 is also coming to iPhone 4, iPhone 4S, iPhone 5, the iPad 2, iPad third and fourth generation, the iPad mini and the iPod touch fifth generation. iPhone 5S vs Samsung Galaxy S4: Is Apple closing the gap? We know the iPhone 5S will bring one or two improvements over its predecessor, and admittedly some of the features being rumoured have got us rather excited (more on that below). Still, Apple has been accused of lagging behind in the smartphone race recently. The iPhone 5 was met with a largely muted response, with many fans disappointed at the lack of innovation or noticeable improvement of hardware over the 4S. This poses a problem to Apple: while it appears to drag its heals, monstrously powerful Android phones are being spat out onto the market left right and centre every day. Though the iPhone 5S will no doubt bring more to the table than its predecessor, one the whole it's expected to be another fairly incremental update. So will there be enough going on under the hood to help close the gap between it and Samsung's latest smartphone behemoth? One oft-touted new feature thought to be coming to the iPhone 5C is fingerprint scanning. We first heard of the Cupertino firm's tinkering in the biometric department back in 2011, when it partnered up with AuthenTec to patent a mobile fingerprint sensor. The tech was noticeably absent in the iPhone 5, but it now looks like the 5S could appear as a digit-reading device. More fuel was added to this fire in July, when one eagle-eyed user stumbled across a folder tucked away within the iOS 7 beta conspicuously named "BiometricKitUI". While we'll have to wait until tonight to find out whether these rumours are true, if they are we're excited to see how Apple puts the tech to use. An educated (and rather obvious) guess would be to provide a more secure way to unlock your device and make payments via NFC. But with Apple being Apple, we're hoping for something a little bit more tantalising as well. We've put together a 3D render of how we think the rumoured iPhone 5S sensor might look and what it might be used for in the video below. Check it out below and let us know what you think. Be sure to check back later for all our videos from the iPhone 5S, iPhone 5C and iOS 7 launch event.